This pretty watch design by Olivia Pratt features geometric textures on the face along with rhinestone and diamond shaped hour markers. The comfortable faux leather strap has an adjustable buckle closure that offers a perfect fit. This watch is unique, and a perfect match to any outfit. 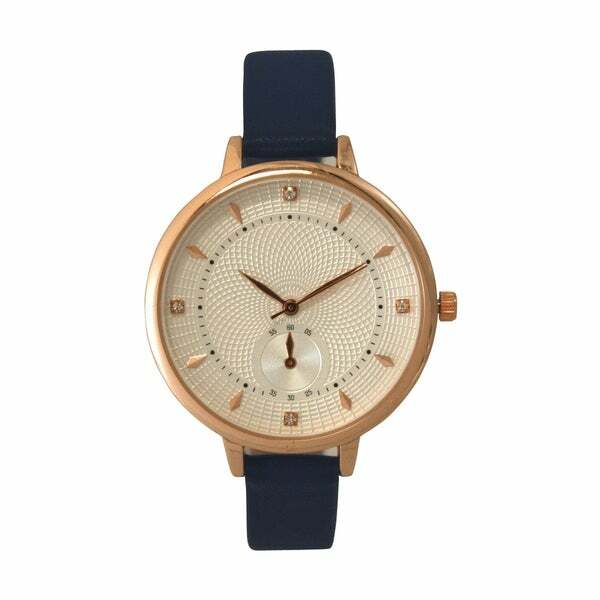 This timeless Olivia Pratt watch is available in beautiful colors. Length of the strap is 9" and fits most wrists. Keep track of time with this unique watch.